Your cabin is very cozy; set up with a king size bed (or two twin beds). There is a centrally located shower house that all guests take turns using, and two classic off the grid outhouses. Since the lodge is located off the road system we coordinate your flights to & from the lodge with a local air taxi service. Contact us for availability and more information. We would love to have you visit. Come join us for a true Alaska wilderness experience. 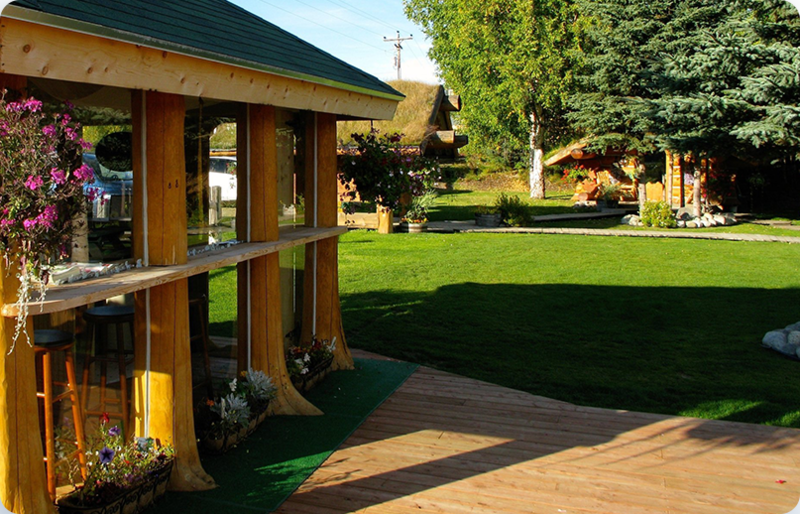 Enjoy and experience the unique style of our log cabin on the lake. Rustic decoration and log cabin features a sod roof and beautiful landscape filled Alaskan flowers. Your private bath is within 15 feet of the cabin. 5 mins drive to Talkeetna Town. A unique place to stay! The Hobbit House was featured on HGTV Mighty Tiny Houses last January 01, 2017. Stay at this cozy and romantic cabin with covered porch, great for rainy evenings, and a sunny side deck and lawn to enjoy on those long summer days. This newly remodeled Alaskan Private Log Home has an indoor bathroom with antique claw foot tub and new sink and toilet. You’ll enjoy plush towels after a hot soak and have a good night sleep in a new king bed dressed in luxury linens. 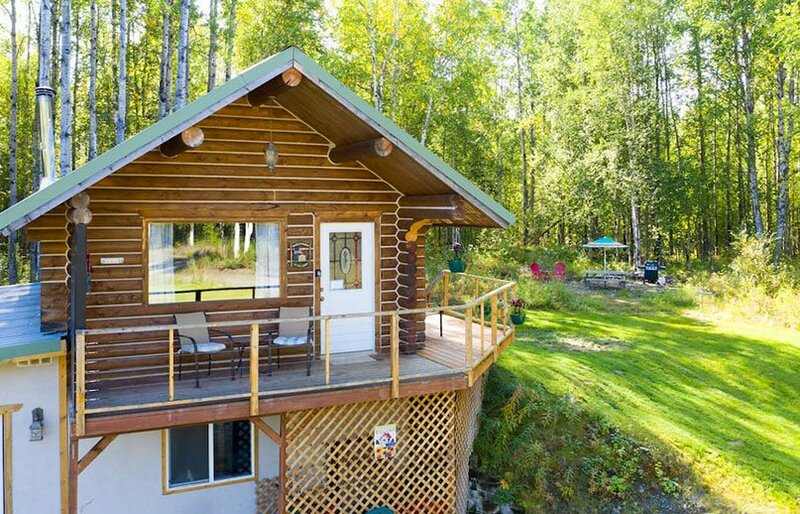 Sunshine Log Home is just 10 miles away from downtown Talkeetna. 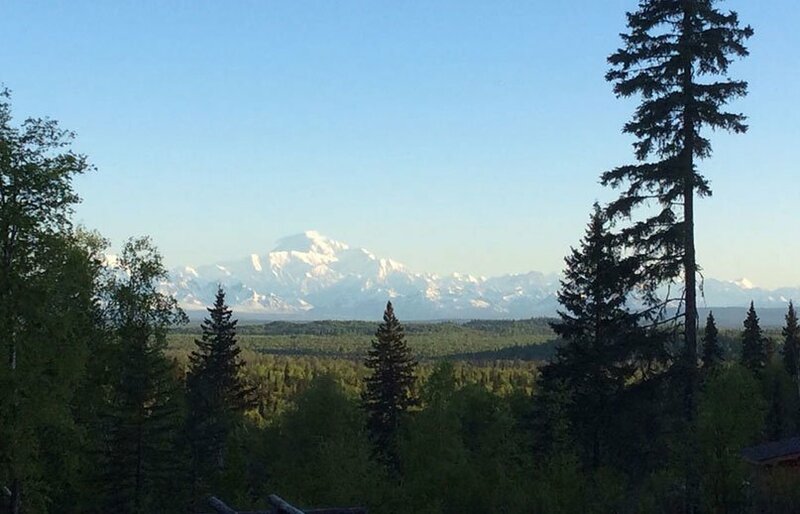 Enjoy an unbeatable and mind-blowing view of Denali and the Alaska range from the cabin windows and porch of this clean, cozy and comfortable Talkeetna accommodation. The cabin is remote and private, perfect for those who want to stay in the woods away from the crowd. But it is accessible and is just 6 miles away from Talkeetna and many good restaurants and shops. The cabin is equipped with a comfortable Queen bed, a kitchenette and a full bath.